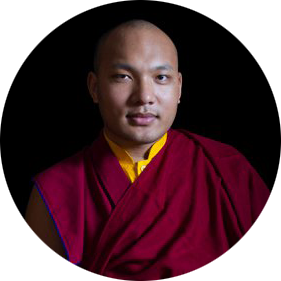 The Gyalwang Karmapa’s Dharma teachings are broadcast live online. Here is the complete archive of hundreds of videos for you to watch or download. Recorded at the Monlam Pavilion, Bodhgaya, India. February 26 - March 1, 2018. Recorded at Queens College, Queens, New York, USA. February 4, 2018. Recorded at the Queen Elizabeth Theatre, Vancouver, Canada. June 23-24, 2017. Recorded at the University of British Columbia, Vancouver, Canada. June 22, 2017. Public Talk & Audience with the Tibetan Community in Calgary, Canada. Recorded at the Jack Singer Concert Hall, Calgary, Canada. June 14, 2017. Recorded at the Tibetan Canadian Cultural Center, Toronto, Canada. June 4, 2017. Recorded at the Enercare Centre, Toronto, Canada. June 3, 2017. Recorded at the Enercare Centre, Toronto, Canada. June 2, 2017. Recorded at the University of Toronto, Toronto, Canada. June 1, 2017. Recorded at the University of Toronto, Toronto, Canada. May 31, 2017. Recorded at the Lakeside Country Club in Frimley Green, Surrey, England. May 27, 2017. Recorded at Battersea, London, England. May 21, 2017. Recorded May 20-21, 2017, Battersea, London, England. Recorded at the Thrangu Monastery, Canada. June 18, 2017. Recorded May 22, 2017, Kagyu Samye Dzong, London, England. Recorded March 6-16, 2017 in Tergar Monastery, Bodhgaya, India. Recorded during the 34th Kagyu Monlam in Bodhgaya, India, February 13-16, 2017. Recorded during the 34th Kagyu Monlam in Bodhgaya, India. February 9-10, 2017. Recorded at the Hyatt, Gurgaon, India. August 15-18, 2016. Recorded at Bülach, Zürich, Switzerland. May 28-19, 2016. Recorded in at the University of Lausanne, Lausanne, Switzerland. May 23, 2016. Recorded in at the Theatre du Leman, Geneva, Switzerland. May 21-22, 2016. Recorded at the Root Institute, Bodhgaya, India. March 15, 2016. Recorded during the 33rd Kagyu Monlam Chenmo at the Monlam Pavilion,Bodhgaya Indian. February 16-18, 2016. Recorded at the Kagyu Monlam Pavilion, Bodhgaya, India. February 12-13 , 2016. Recorded at Tergar Monastey, Bodhgaya, India. January 14-February1, 2016. Recorded at Maritim Hotel, Bonn, Germany. August 30, 2015. Recorded at Maritim Hotel, Bonn, Germany. August 29-30, 2015. Recorded at Maritim Hotel, Bonn, Germany. August 28, 2015. Recorded at Maritim Hotel, Bonn, Germany. August 27-28, 2015. Recorded at Karma Triyana Dharmachakra, Woodstock, NY, USA. April 19-20, 2015. Recorded at the Westin Hotel, Mount Laurel, NJ. April 4, 2015. Recorded at Princeton University. April 1, 2015. Recorded at the Memorial Church at Harvard University. March 26, 2015. Recorded at Redlands University. March 24, 2015. Recorded in Oakland, California. March 19, 2015. Recorded at Scottish Rite Masonic Center, San Francisco California. March 19, 2015. Recorded at Stanford University, California. March 17, 2015. Recorded at Delhi University, New Delhi, India. January 31, 2015. Recorded at the Root Institute in Bodhgaya, India. January 10th, 2015. Recorded at Tergar Monastey, Bodhgaya, India. January 8-23, 2015. Recorded at Tergar Monastey, Bodhgaya, India. January 21, 2015. Recorded during the 32nd Kagyu Monlam Chenmo in Bodhgaya, India. December 20, 2014. Recorded at the Foundation for Universal Responsibility, Delhi, India. November 22-23, 2014. Recorded at the TCV Suja School. September 25, 2014. Recorded at the Dongyu Gatsal Ling Nunnery. October 1, 2014. Recorded at the Ambedkar University, New Delhi, India. October 3, 2013. Recorded in New Delhi, India. October 3, 2013. Recorded at the Habitat Centre, Foundation for Universal Responsibility, New Delhi, India. November 1-2, 2013. Recorded in Delhi, India. September 9, 2013. Recorded in Kinnaur, India. September 1-2, 2013. Recorded in Gyuto Monastery, India. Recorded in New Delhi, India. Recorded at the Central University for Tibetan Studies. Recorded at the Vajra Vidya Institute, Sarnath, India. February 21-28, 2013. Recorded at Tergar Monastery in Bodhgaya, India. January 14th, 2013. Recorded at the Root Institute in Bodhgaya, India. January 3rd, 2013. Recorded during the 30th Kagyu Monlam Chenmo in Bodhgaya, India. January 1st, 2013. Recorded during the 30th Kagyu Monlam Chenmo in Bodhgaya, India. December 31, 2012 - January 1, 2013. Recorded during the 30th Kagyu Monlam Chenmo in Bodhgaya, India. December 29th, 2012. Recorded during the 30th Kagyu Monlam Chenmo in Bodhgaya India. December 21-24, 2012. Recorded at the Dorzong Monastic Institute (Jangchub Jong) in Kangra Valley, Himachal Pradesh, India. October 27-28.